At Sparkys NOW, we pride ourselves on providing fast, fair & friendly electrical test and tag services at competitive prices. 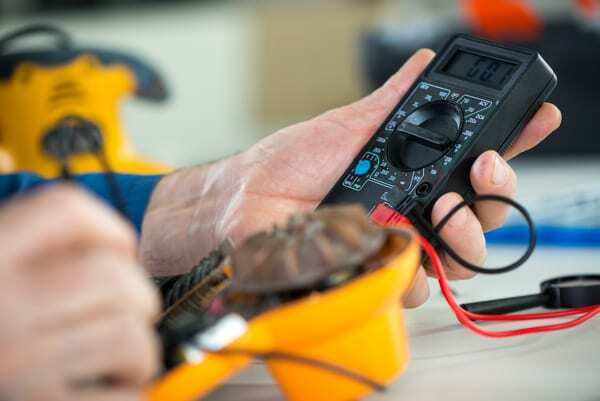 Unlike some electrical companies in the industry, all our work is carried out by qualified electricians, so you know our services can be relied upon. Testing & Tagging Services - What is it? And Why do You Need it? Your appliances and leads are tested using specialised equipment to ensure they are safe for use, and after passing the test, a tag is placed on the appliance or lead to show it is compliant with the current Standard AS/NZS 3760:2010. From a Health and Safety perspective, electrical testing and tagging is mandatory under OH&S law, anywhere in a commercial or industrial workplace. This ensures a safe working environment and minimizes the risk of electrocution to both employees, and visitors to the work site. We offer an onsite testing and tagging services for industrial and commercial sites as well as an onsite "at home" service for contractors and tradesmen that require their tools and leads are "current" so as to work within the laws on site. Both single phase and three phase appliance and lead testing. Tagging of the item if it is found to be electrically safe in accordance with Standard AS/NZS 3760:2010. Replace any damaged or faulty equipment leads found to be faulty. Check trip times and current settings of any installed safety switches and replace if required. Check radiation leakage levels of any onsite microwave ovens. All this and we provide a certificate of electrical safety where required! For All Your Test & Tag Service Needs, Please Give Us a Call!